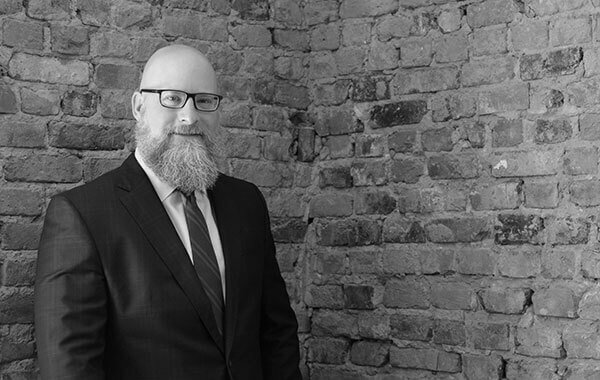 Meet Attorney Matthew Goheen | Goheen & O’Toole, P.L.L.C. Ask him why he became a lawyer, and Matt will tell you that he’s always held a certain distrust for the American justice system. Growing up, he saw and experienced the way people can be mistreated when their legal concerns aren’t handled correctly. The best way to make a difference, he reasoned, was to step in and actively fight for what’s right. Given the number of people Matt has helped along the way, we think it’s safe to say that he chose his career path wisely. Of course, Matt’s journey into criminal defense wasn’t automatic. Before he even considered applying for law school, he spent some time serving in both the U.S. Marine Corps and the Army Reserve. It was only then that he decided to take the plunge and head off to the University of Miami School of Law. For Matt, going into criminal defense was a no-brainer. Not only had he always been passionate about standing up for others, but on top of that he was a natural-born speaker. In his early years of practice, he was able to hone this skill by working at a drug defense law firm in Miami. In the years since, his ability to argue with both passion and logic has improved even further, making him an incredibly effective trial attorney. I’m a firm believer in the equal treatment of all. No matter who you are or what you’ve been accused of, I’ll fight for you with everything I’ve got. As you’ve undoubtedly come to realize, Matt is, at his core, a fighter. However, we want to make it very clear that he’s a strategic thinker, too. In other words, Matt isn’t one to take a case and push it toward trial unless it’s in the best interest of his client. In fact, Matt — along with the other Goheen & O’Toole, P.L.L.C. attorneys — looks for every opportunity to resolve his client’s cases outside the courtroom if at all possible. In doing so, he can often save his clients a great deal of time, money, and stress. Still, if trial is the right course of action for your case, rest assured — Matt is up for the challenge. His fearless approach has proven extremely effective to more than 100 juries. To date, every client he has represented through a jury trial has walked away with either a “not guilty” verdict or a successful plea bargain. As Matt will tell you, he lives for criminal defense; he has even taken calls from clients while on vacation in Hawaii. Outside of work, he dedicates his free time to his friends and family.